The hunt for your next knife ends here. 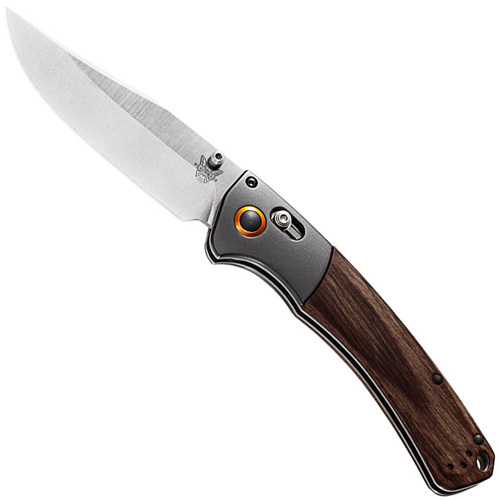 The Benchmade Crooked River Hunting Knife updates the iconic hunting knife shape with modern technology, creating a beautiful knife that performs as good as it looks. This substantial folder features a contoured Dymondwood handle, the Benchmade-exclusive AXIS lock mechanism, and a rust-resistant CPM-S30V blade steel. Ambidextrous thumb studs and a reversible pocket clip are included. Happy hunting!